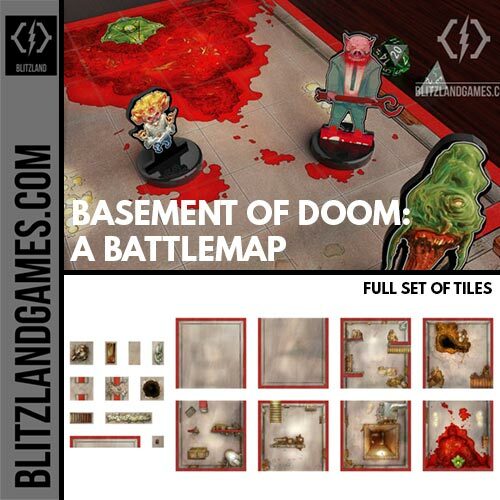 A modern basement gamemap ideal for an urban horror, super heroic, or crime adventure. 8 Tiles, 6’’ by 6’’ each. 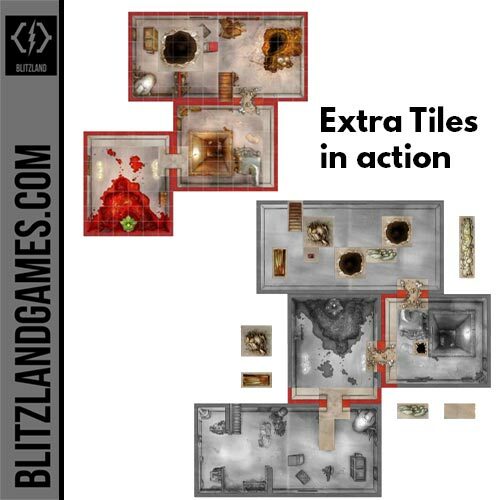 Extra Tiles extends the usability and gameplay posibilities of the map.